These are the best Christmas labels I've found for my Christmas cards! 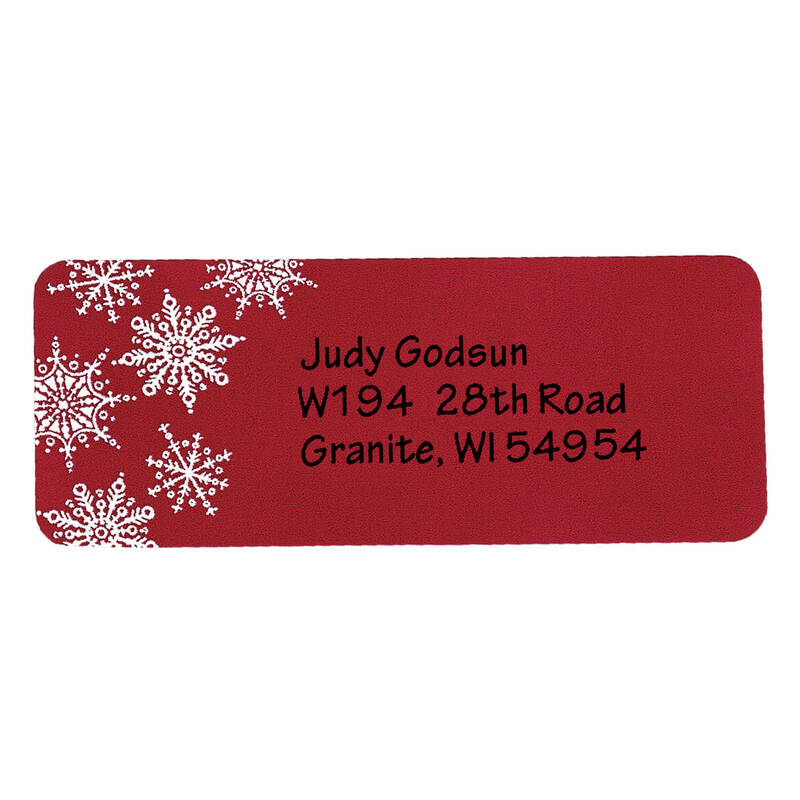 Look so great on envelopes -- and one can read them easily! Nice and bold! Am ordering for the second time. I ordered a set of these, only they were Blue with white snowflakes several years ago. I am still using them. They are very attractive, easy to read, durable - not flimsy - Cute and very useful. I use mine into the Jan and Feb with the snowflakes flying. Have only found this item at Miles Kimball. Please do not discontinue! 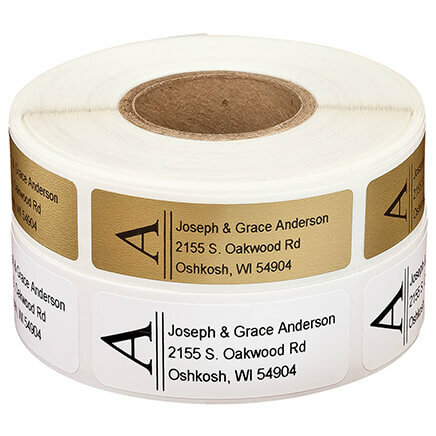 These address labels are cute and festive. 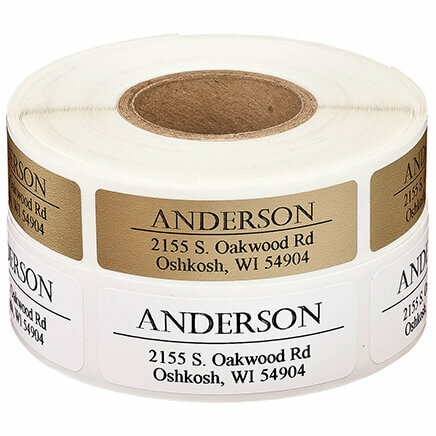 You do get a lot of labels for your money. I do wish that the print on the labels was bigger. These will be used for Christmas this year. The only con I have about these labels is with them clashing with a different shade of red envelope, but I could use the white labels for the red envelopes and use the red labels for the white envelopes. I just love the snowflakes on the labels. use on letters, birthday, get well, invitations, the all red one is too dark, won't buy again. These are for my daughter. I liked the bigger print for the return address. Using them for recipients of our Christmas cards to mail their cards to our new address. Red is my favorite color, and I like the snowflakes that go with it. It's definitely Christmas material. they will be perfect for Christmas. I just wish I could have had them this year. Love the snowflakes and the price can't be beat! My wife loves anything snowflake, will add nice touch to her Christmas Cards. 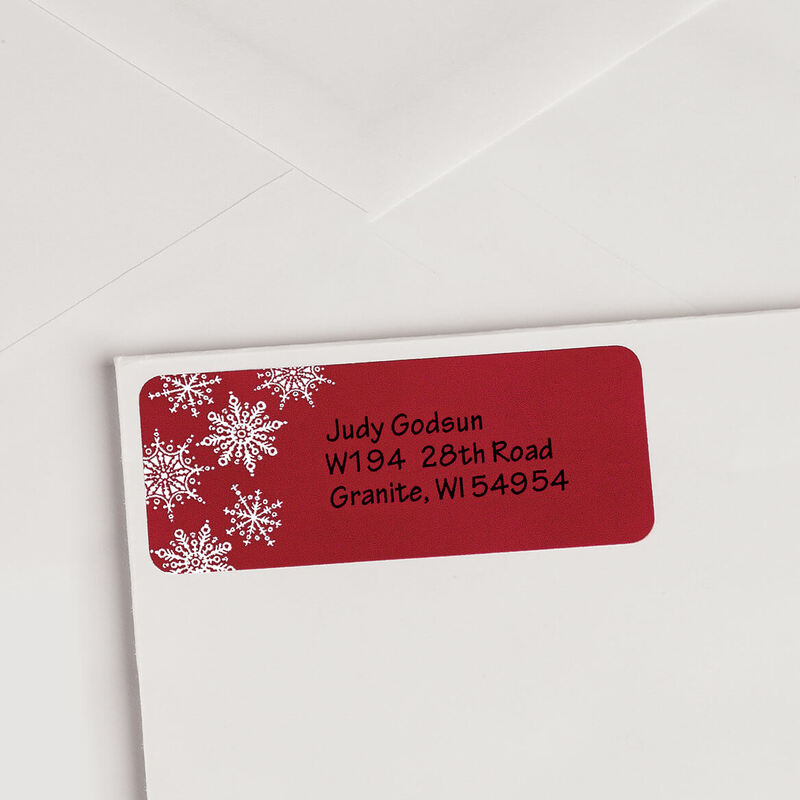 Because it is too time-consuming to write my name and address on all my Christmas envelopes. Really liked them to put on my christmas cards!! Very attractive and can be used for the entire winter season, not only for Christmas...and snowflakes are unique! So I don't have to make my own. They are for the entire winter months. I chose this label because I want my Christmas mail to have a festive appearance. I prefer designs that have a simple elegance that is a bit unique, without being garish. I love the color red so this is perfect for me. 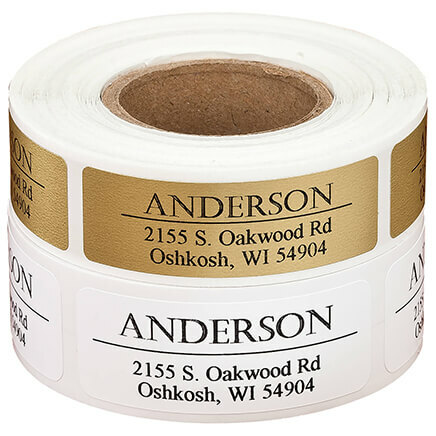 Large Print Address Labels are the best, will order more soon! Simple design for the holidays. For sending 100+ Christmas letters, but it can be used after that with the winter theme. 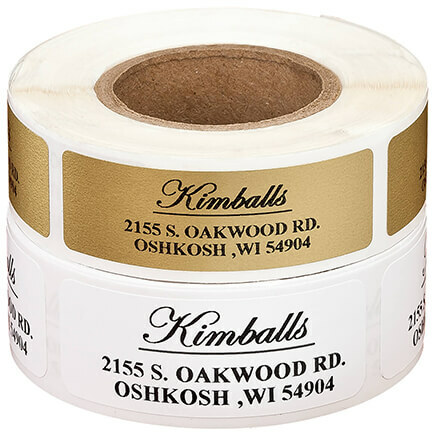 because of the large print and two colors on one roll. They will look nice on my Christmas cards. Moved to another state. Liked large print. Needed a holiday address label for the whole family for Christmas Cards. 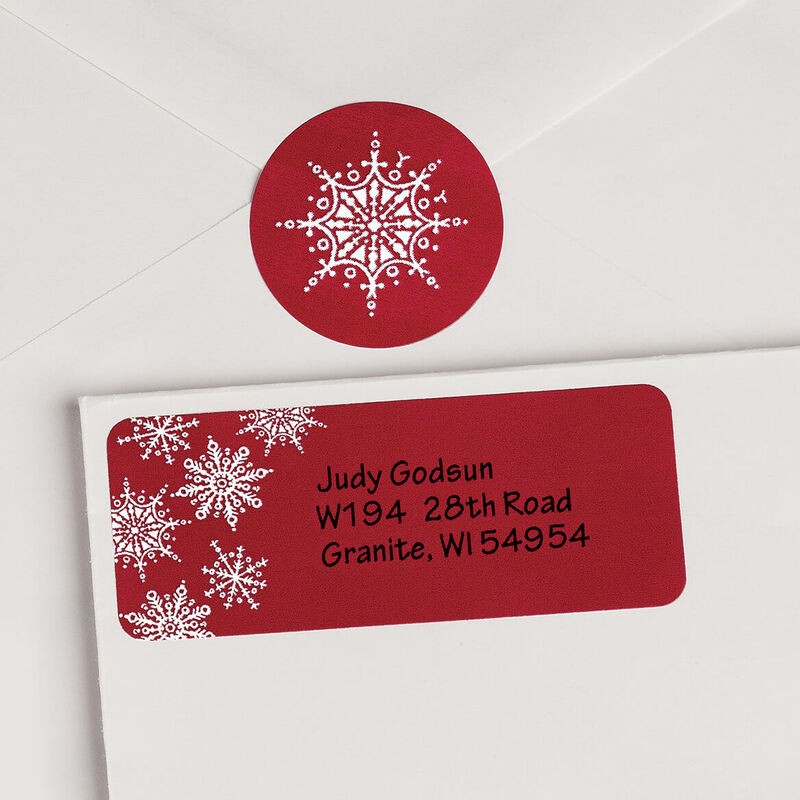 I like snowflakes and thought these would work well on holiday mailings. 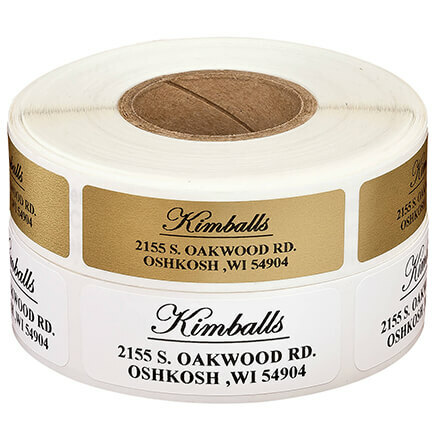 how do you print the address on each label?